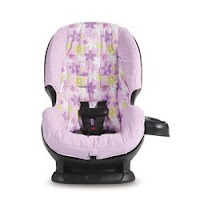 Overstock.com is listing the Cosco Scenera convertible car seat in Daisy Daze for $31.44! Shipping to my area was only $1. This is a great price for a car seat that usually runs between $50 and $60 on sale! Plus, the car seat techs on car-seat.org are fans of this budget-friendly convertible car seat. If you want to save an extra 4% on your purchase, shop through Ebates to get cash back! If you're not familiar with this easy-to-use shopping portal, check out Why I Love Ebates to find out why I think it's so great! We purchased the cosco car seat last week, and have been very luke-warm about it. We have used it with both the latch system.